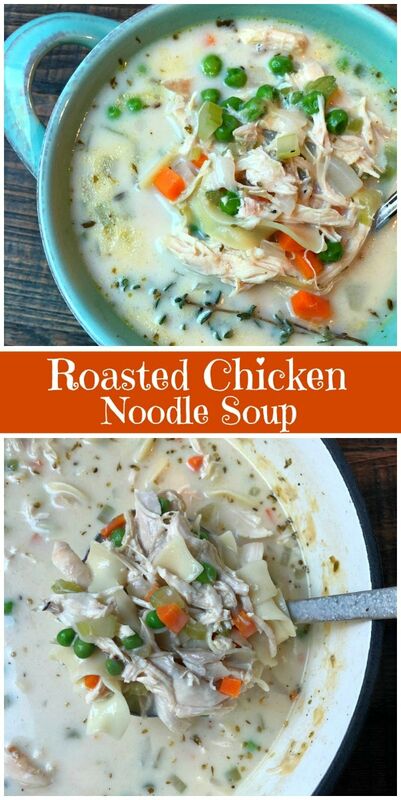 I’m so happy to share with you the best chicken noodle soup recipe of all time, my Roasted Chicken Noodle Soup. Watch the video showing you how to make this recipe, then scroll to the bottom of this post and print out the recipe so you can make it at home! I’ve been making this recipe for so many years. 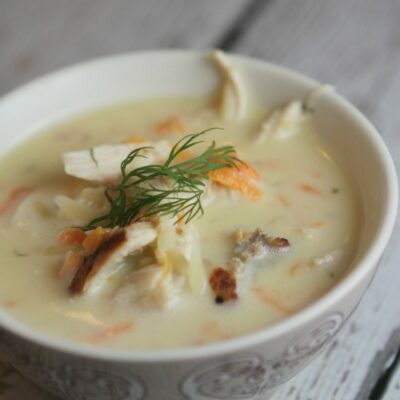 There are quite a few chicken soup recipes on my website (see a few recommendations at the end of this post), but this is by far the best chicken soup recipe I’ve ever made. I adapted it slightly from a recipe of the same name on the Cooking Light website so many years ago. It has been my favorite ever since. And everyone who tries it agrees! 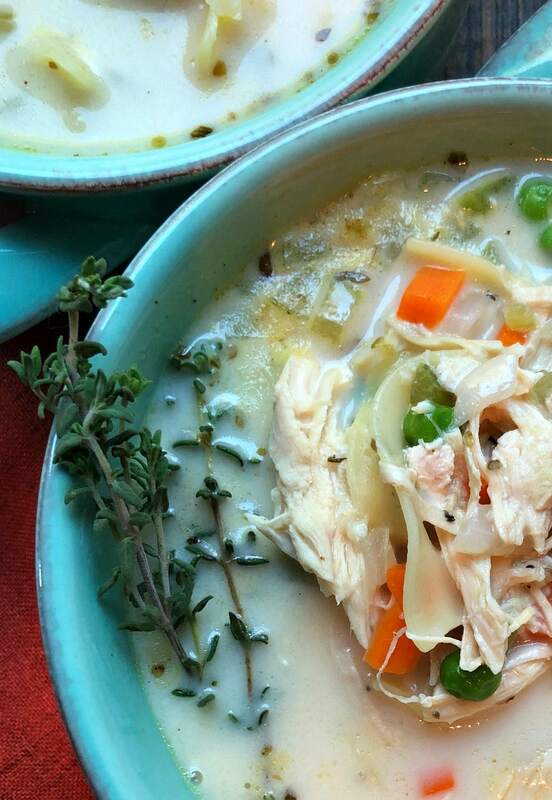 Why is this the Best Chicken Noodle Soup recipe? One of the reasons why this Roasted Chicken Noodle Soup is the best is because it’s so simple to make. You just saute veggies in a tiny bit of oil, add flour and spices, then add the broth and simmer away. Adding roasted chicken is a huge timesaver. Just grab a roasted chicken from the store and tear apart the chicken while it’s still warm (it slides right off the bone!) The addition of evaporated milk is a secret (must-use) ingredient that makes this soup just a little bit creamy. Don’t even think of using regular milk. 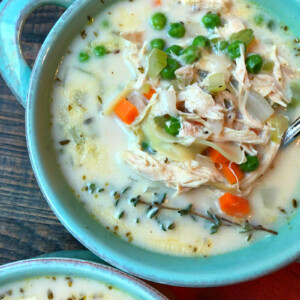 Evaporated milk is more concentrated, and it’s an essential ingredient in this soup! Do you have to add noodles to this soup? If you’re eating lower carb or if you’re gluten-free, skip the noodles in this soup. 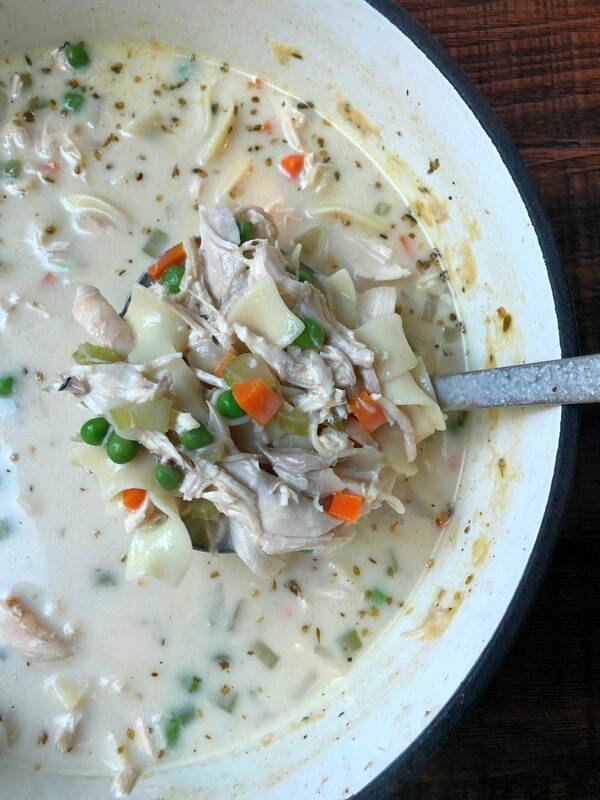 It’s perfectly delicious made just as a chicken soup with no noodles. 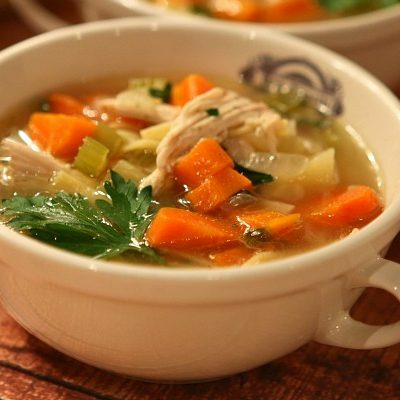 What are the best reasons to make Roasted Chicken Noodle Soup? I make this soup all year long, and I truly make it probably about twice per month. 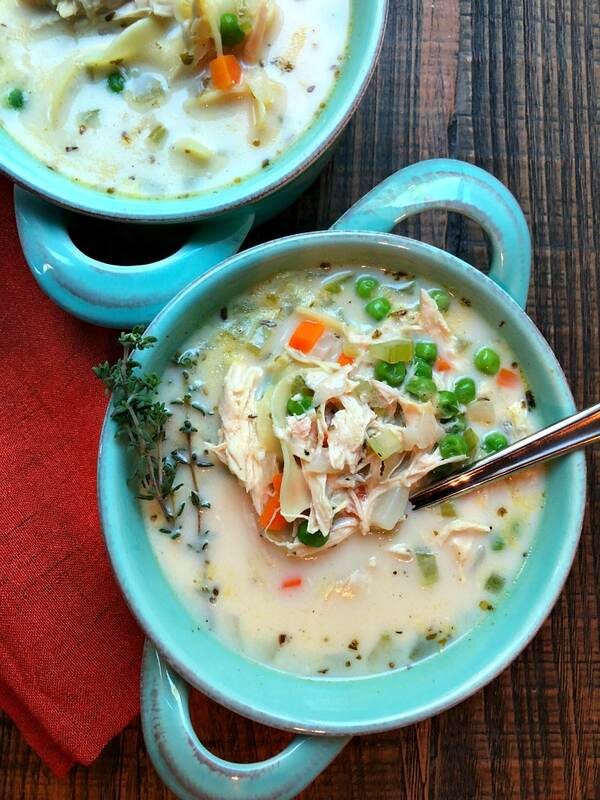 We really love to have this soup in our house for dinner, but it makes a great lunch too. I gift it to sick friends, and I share it with neighbors. It’s the best chicken noodle soup recipe! If you are looking for more chicken recipes, you might like to try my Lemon Chicken Rice Soup or this Tuscan Chicken Sheet Pan Dinner. Ranch Chicken, Chicken Divan and Bang Bang Chicken are also good chicken recipes! 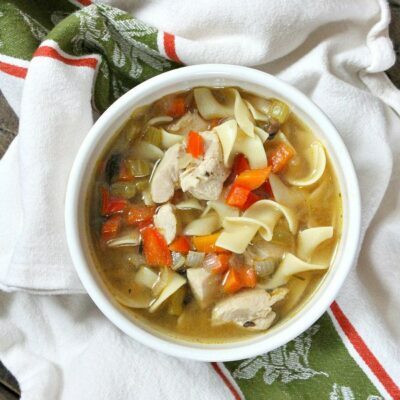 This is seriously the very best chicken noodle soup recipe! Heat the olive oil in a large pot over medium-heat. Add the onion, carrots, celery and garlic; sauté 5 minutes. Sprinkle the flour, oregano, thyme and poultry seasoning over the vegetables, and cook 1 minute. Stir in the broth and salt. Bring to a boil; reduce heat, and simmer, partially covered, for 25 minutes. Add the roasted chicken, evaporated milk and noodles, and cook 10 minutes or until the noodles are tender. Stir in the frozen peas. Heat until the peas are warmed, and serve. Garnish with fresh thyme, if desired. If you are preparing this as a Weight Watchers recipe, use cooked chicken breast, not roasted chicken from the store. I’m going to have to try this. Looks incredibly delicious! 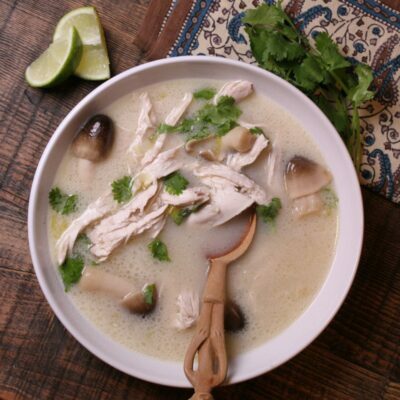 Just in time for the chilly nights – such a comforting and tasty soup! Looks like I have a new favorite for fall nights! I love how fast this is! Serious comfort food! SO perfect for tonight’s cold weather! Mmmm! I love the milkiness in the broth. 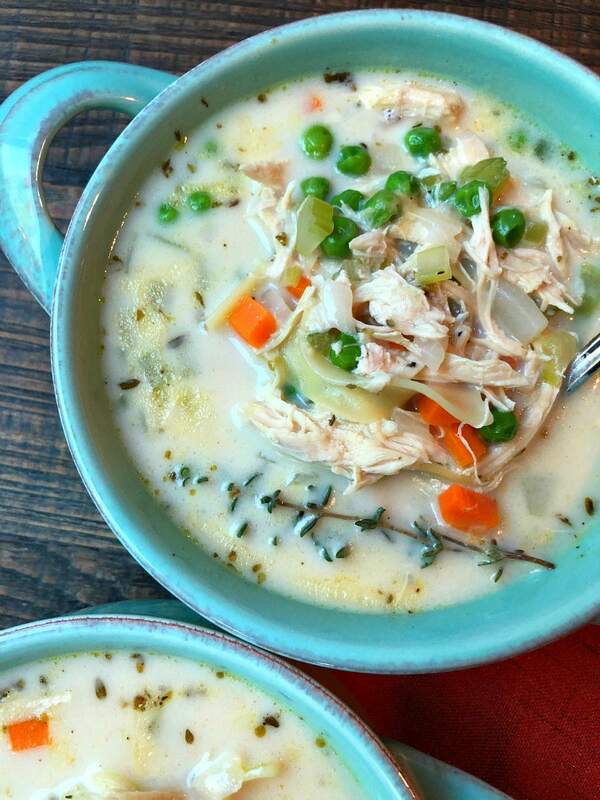 Such a great soup! Looks like pure comfort food!